It’s not only a better way of thinking about the world, but my business too. Often, I want things to be simple, straight, easy. One path forward. But things are rarely that linear or clean. It’s a cliche, but life is messy. And so is running a business. As I’m in the midst of figuring out what I want next year to look like, I’m feeling a bit of shame in the process. I’m embarrassed at the thought of changing tack, tightening up, focusing. Yet, I know that’s exactly what needs to happen. I think Brene’s words also stuck out because, earlier in the week, I’d come across a similar line in Huckberry’s newest magazine issue. 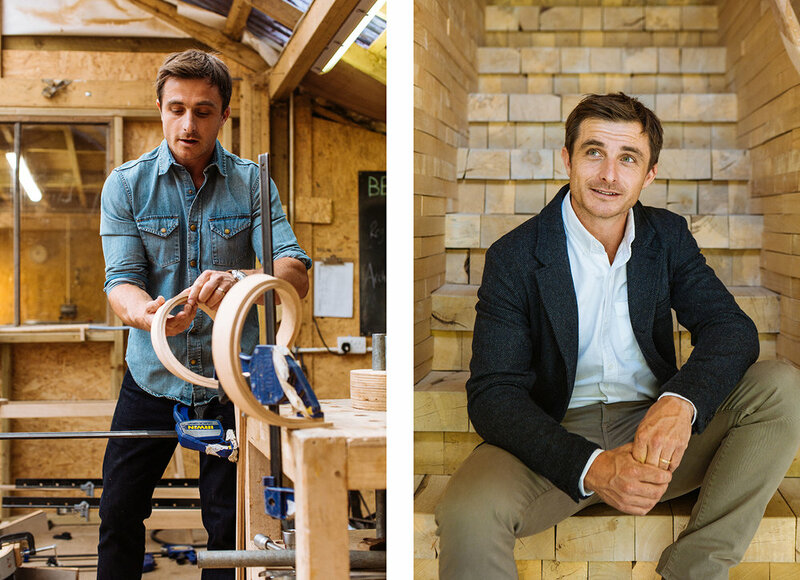 My wife and I had seen Tom Raffield and his wife document the building of their new house on the Netflix series Grand Design earlier this year. If you’re unfamiliar with steam bending, you should read the Huckberry profile or watch the episode. It’s fascinating craftsmanship. And, though I don’t know Tom, I’m glad to see him getting widespread recognition for what he does. Tom Raffield in Huckberry’s profile of him and his work. And it’s a lesson we could all take from time to time. Do good work. Keep at it. Hone your craft. And follow it where it goes, with as little self-judgement as you can muster. Because in the end, we all know, there is no straight line.